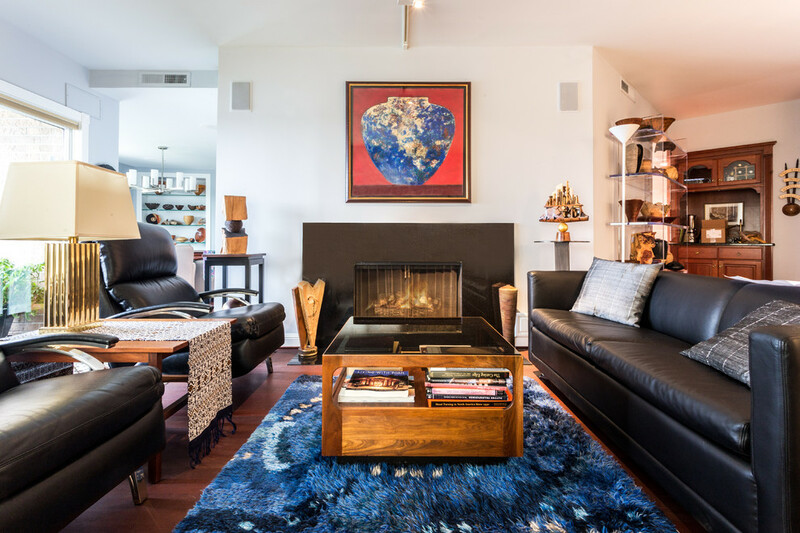 The clients downsized from a large suburban house to a Minneapolis condo. 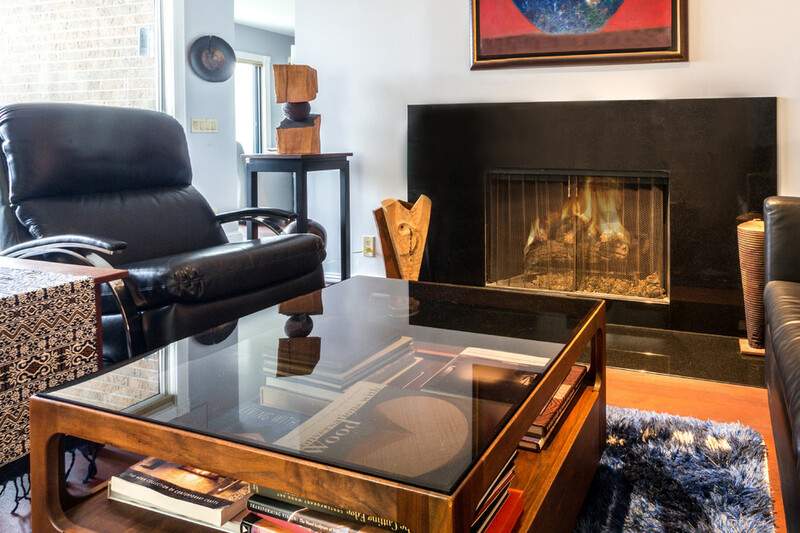 The scope of this this Minneapolis Condo Renovation included new hardwood floors throughout, a new fireplace, guest bathroom shower, and master bedroom built-in shelves, and master bathroom vanity. 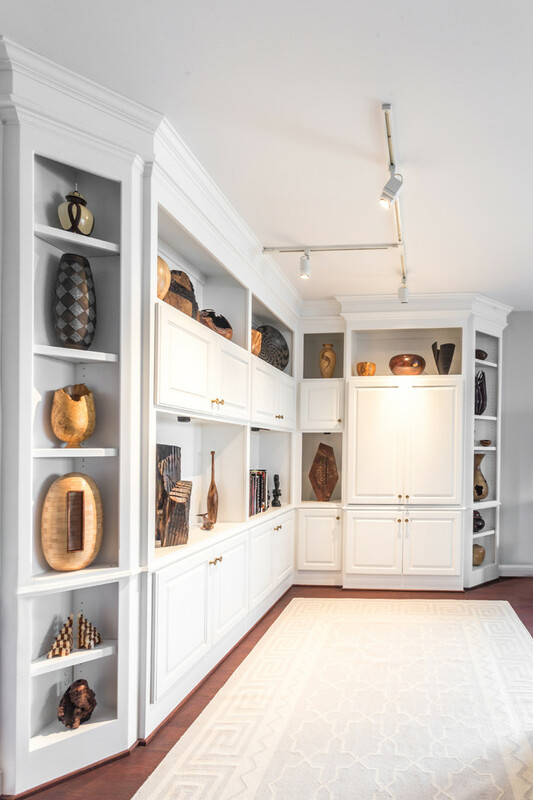 An important part of the project was creating custom shelves to display the clients' impressive turned wood collection.